Marius Dansou was born in 1984 in Cotonou, Benin where he still works and lives today. 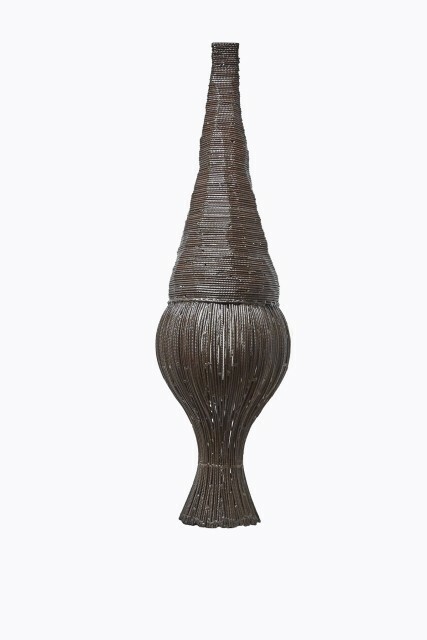 Dansou started his sculptural career in wood before progressing on to metal. His work of feminine heads with either traditional or extravagant hairstyles draws upon the local hair fashions of women in Benin. This breakthrough work has earned him multiple exhibitions in France, Benin and Nigeria. Dansou's recent exhibitions include a collective show at this year's Dakar Biennale, as well as a group exhibition in Paris titled 'Mickey Au Benin'. Dansou views his work as a meeting point between his ancestors and the world today, and not as a simple homage to the past.